Babcock University School Fees 2019/2020 for New and Returning Students. This is to inform all the UTME and Direct Entry candidates offered provisional admission into the Babcock University for 2019/2020 academic session that the management of the institution has released the amount they are required to pay as acceptance fee. We specifically publish this information here today, for all people who need to know the current school fees of the Babcock University. 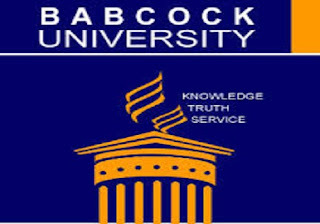 Please note that if you have applied for admission to the Babcock University or if you are already a student, it is advised that you know the current tuition fees for all students, and this knowledge will help you , avoiding making mistakes that will cost you your admission. Babcock University School Fees Schedule. Babcock University School Fees Schedule – 100 Level. Babcock University School Fees Schedule – 200 Level. Babcock University School Fees Schedule – 300 Level. Babcock University School Fees Schedule – 400-500 Level. If you need us to help you with more updated information at the right time about Babcock University School Fees 2019, kindly provide us your phone number and email Address in the comment box below. Also feel free to ask any question pertaining to this guide. Babcock University Courses and Requirements | Full List of Courses Offered.